(Re)Discover your 'IKIGAI' in the Japan Alps this Cherry Blossom season 8/9 ~ 16 May 2019. What better place to enhance your Wabi-Sabi-ness (embracing the perfectly imperfect life) through Ikebana (Japanese flower arrangement), Macrobiotic cooking etc. than Japan, the birthplace of Zen? A retreat is ultimately to feel united and at home with your environment. Instead of isolating you from your surroundings, this retreat connects you with local people, traditions and cultures to help you feel grounded, even in a foreign setting. A chance to seek more meaning encounters, try something new, broaden your horizons and connect to people with unique points of view. Join us in this sharing and learning opportunities and celebrate a melting pot of cultural diversity together! Gwen currently lives in the Southern Forest of WA, she grew up in Singapore and Japan. She is a yoga teacher and trainer, conducts classes, teacher training and sound meditation in the Shire of Manjimup. Elly lives in Japan, travelled to Australia, fell in love with the mountains of Nagano where she decided to settle. She is a yoga teacher and will be assisting us on this retreat. 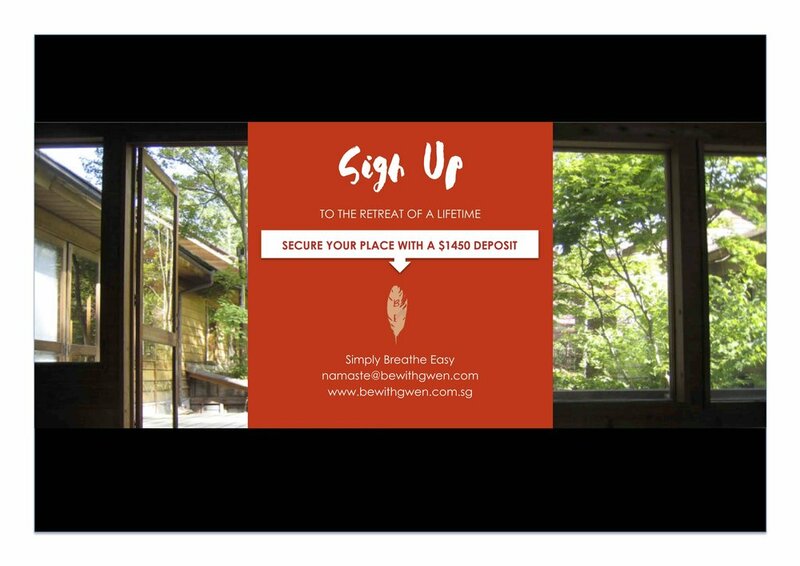 Step 2: Please email Gwen at namaste@bewithgwen.com for an INFO PACK with . Malimup Springs, is situated in Noongar Country in the south west of WA within the boundary of the D’Entrecasteaux National Park. It is owned by the Kaitijin Mia Mia Foundation and is of significant spiritual importance to Aboriginal people. Malimup Springs is home to rare flora and has unique hydrology, geology and archaeological values. The house overlooks the ocean and is one of a kind. Its build of mostly natural and recycled materials. The whole front face is glass so you can be whale watching while enjoying a meal around the dining room table. It is a simple, but beautiful house with sun beds, inside gardens, pebble walls, stained glass and quite possibly the best bath in the world. The property has private access to several beaches which makes the coastline nearly untouched. Waterfall Bay is a 15 minute drive and a short walk but is well worth it. It lives up to its name as there is a beautiful waterfall on a sandy beach. With cliffs towering around the bay, wild waves crashing and safe little rock pools to swim in it makes this place a dream. Pebble beach is another stunning yoga destination. It is only a 5 minute walk from the house over the hill and you have a breathtakingly wild but wonderful view of deep blue waters and rugged cliffs. Announcing Stellar Violets Nature Playgroup LAUNCH 😍 Friday September 1. Places are limited at the FREE introductory Playgroup Session so get in quick! Join our Yoga Alliance Australia Accredited RYT-200/250 yoga teacher trainings on the edge of wilderness. Become not just any Yoga Teacher… but a Yoga Teacher who can lead their students with confidence and competence; addressing their body, energy, mind, emotions, and improving their quality of life. 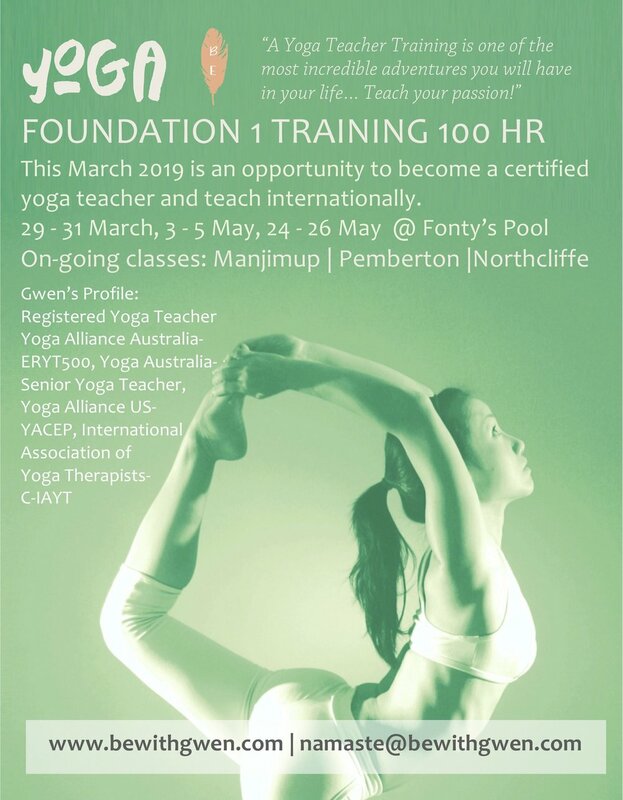 Union Yoga Ayurveda (Australia) 200/250 Hour Yoga Teacher Training certification is one of the most holistic and therapeutic yoga teacher trainings. Through our curriculum, we create a foundation for teaching yoga skillfully, effectively and relevantly. Yoga Alliance is the world’s largest and widely recognized standards-setting organization for Yoga Teachers. Our Yoga Alliance certified RYT-250 Hour training qualifies you to teach in both Australia and all over the world upon graduation. We embrace a holistic approach to the path of yoga, combining the wisdom of traditional yoga with contemporary understandings of the body. The yoga taught is not another ‘style’ of Yoga but draws from the healing traditions of the Swami Paramhansa and Swami Vivekananda lineage. This course is a rewarding journey for both who wish to teach yoga and those who are ready to embark on a personal journey of self-enquiry. For those who wish to teach, the training will empower you to self-awareness, self-healing and self-discovery, and provide you with the knowledge and confidence to lead classes. You will gain the skills to teach safe and assist people in adjusting to the changes that are affecting their lives. The Union Yoga & Ayurveda RYT-200/250-hour Yoga Teacher Training allows you to experience the true essence of yoga. We will give you the information and experience of yoga practices and theory needed to teach and share skillfully and efficiently with others. Yoga, its origin, philosophy, meaning, definition, misconception, happiness analysis, Kriyas, Mudras and Bandhas. How to teach postures and practices safely with correct alignment, modifications, adjustments and cues. Eight limbs of yoga and yoga for personality development. Role of stress with relation to the disorders. Instruction in yoga postures, including physical performance and energetic and healing effects. You will explore in-depth the wisdom of breathing techniques, pranayama and meditation allowing for a deeper experience of the healing spiritual benefits of Yoga. A comprehensive knowledge of A&P from a yogic perspective (Nadis, Koshas, Chakras, Gunas). Planning and teaching a class, hence a yoga teacher’s self practice is foundation from which great teaching begins. Students leave with a personal practice, specifically designed for their body, mind and spirit. Worldwide Qualification – Yoga Alliance is the world’s largest and widely recognized standards-setting organization for Yoga teachers. Accepted all over the world, a Yoga Alliance RYT-250 registration means you will be certified to teach globally upon graduation. 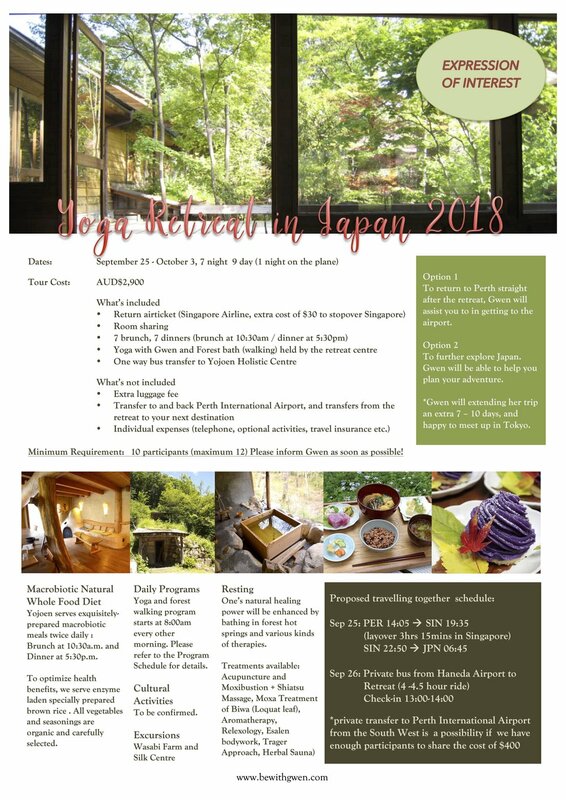 To qualify for a RYT 250 hour YTT, you can attend 7-day training immersion retreat in Japan inclusive of accommodation and food (flights not included) in September 2018. 50 hours can be applied to our 200-hour yoga teacher-training program. If you have not completed a yoga teacher training program you can attend the retreat only portion of this intensive. A Yoga Teacher Training is one of the most incredible adventures you will have in your life, so our goal is to ensure that you get immersed into this eye-opening adventure on one of the most beautiful locations on earth! If you have always dreamed of a life of tranquility, surrounded by natural forest and the peaceful vibes of a environment with abundance of fresh produce – then you will soon find the South West of Western Australia is the perfect yoga teacher training destination for you. Why Choose the South West of WA For Your Yoga Teacher Training? The southwest is not marred by traffic jams, dirty air or noise pollution, so you can unwind, de-stress and rejuvenate in a quiet and pristine environment. Filters and cleans the air we breathe and the water we drink. Our forests produce oxygen that the world depends upon. Additionally being far enough away from the light pollution, we get to observe the night sky, the stars and planets, and the Milky Way in their full splendor. ‘Taking in the forest atmosphere’ or ‘forest bathing’ in Karri Country, the second tallest hardwood tree in the world, growing to heights of 90 metres, almost 3 metres in diameter and over 400 years of age. These and other giant eucalyptus such as Jarrah and Marri are harbours a wide range of endemic plant and animal species. A result of millions of evolution and ten of thousands of years of Aboriginal Land Management. Stellar Library, Living Museum & Gallery offers educational and wellness programs from food, waste renewal, solar energy, water harvesting, Nature Playgroup to exploring self and how we want to give meaning to our life. Visiting vegetable gardens, truffle farm, winery, dairy, fruit orchards and tasting them straight off the tree. This region is the gateway to many other popular sites and locations, and many students stay on after they graduate the Yoga Teacher Training to soak up more of the Great Southern vibes. Tell us more about yourself, yoga experience and existing yoga practice. Please include details of where you will be travelling from. We offer this comprehensive training designed in accordance with the requirements for registration with Yoga Alliance USA. Upon graduation, students may apply directly with Yoga Alliance USA for "RYT 200 / 300" yoga teacher status. This certification is recognised worldwide. For more information and questions please email gwenli@me.com. This weekend retreat can help you to Refuel & Replenish, Clear & Cleanse, Self-Nourish and Re-Balance. We know that “Wellness” is one that nurtures your Mind, Body, Spirit. In order to experience a better life, it is essential that we follow a holistic approach to wellness, it will give us the ability to rejuvenate our body and restore our energy flow, while giving us the courage and compassion to finally address deep issues that we may have been neglecting. When we learn to address all aspects of our being: mental, emotional and spiritual, we restore balance in our lives. All vegetarian meals and morning power drink. 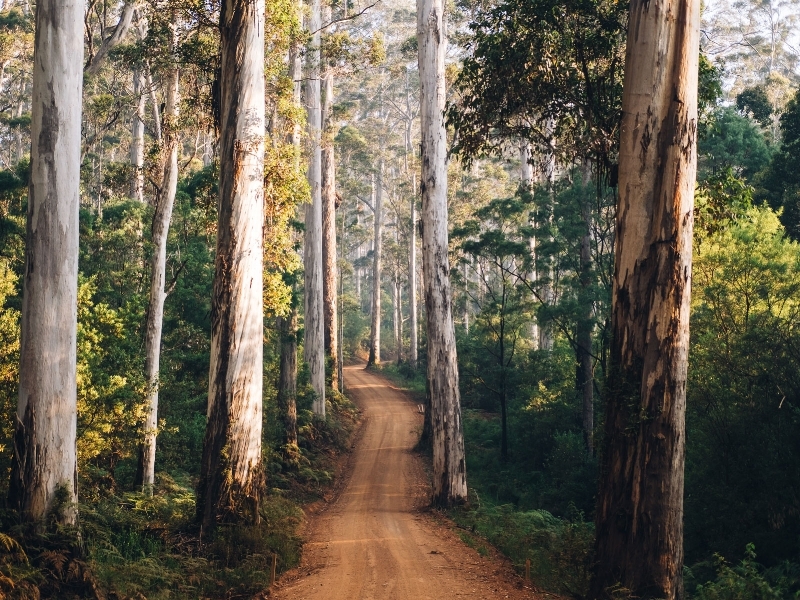 “Nannup” comes from the indigenous (Noongar) people and interprets as “stopping place”. It is at the heart of the SouthWest, situated between the Margaret River wine region, Busselton, Balingup, Bridgetown and Pemberton, famous for its magnificent native forests and farmlands. Nannup Hideaway Spa Cottages & Retreat is on an exclusive 32 acre property, positioned on one of the highest elevations in the area, overlooking the Blackwood River - meandering through the picturesque valley below, rolling green hills and forests. From your very own Private Balcony, gaze at the magical sunrise over the hills on a misty morning, as you sit amongst the clouds – truly a Heaven on Earth experience. Single: Please contact Nannup Hideaway Spa Cotteages & Retreat directly. Availability subject to number of bookings. Please note: Residential accommodation is limited. We strongly suggest booking early to avoid disappointment. It is time to bust a move, time to explore, and time to feel magnificent. This weekend we let our mind and body delve into a new space, by removing ourselves from the same old routine, we will dance and do yoga, it’s food for the soul, pure nourishment and mega vitamin M (movement)! You will experience the magic inherent in Nia Dance Technique. It is an expressive workout with a difference. Incorporating 52 simple movements from dance arts, martial arts and healing arts this class helps you to embody joy and pleasure in your movements. Participants have the option to book for a treatment (by appointment only) during the retreat. That is where we can shift, do something fresh, come to a new surrounding, try new food, meet new people and allow new opportunities for discovery. Feel Good is the theme of the retreat - An opportunity to move our body and feel good; and by that we keep our brain, nervous system, gut and circulatory system healthy. Here is a good read by Yoga for healthy aging. Nia is an expressive workout that combines dance arts, martial arts and healing arts. It teaches you to listen to your greatest teacher – your body. When we dance, we take off our shoes and honour the body’s natural design and function, and learn to move in ways that release stress & tension and connect with joy & pleasure in movement. Through it's healing principles, Nia has fundamentally changed people’s lives. We work with 5 sensations of fitness; Flexibility, Agility, Mobility, Strength and Stability, which will help you to feel a holistic sense of fitness and wellness. There is a type of magic inherent in Nia which is difficult to explain, and we put this down to the fact that it is designed to touch the heart and soul. The soul stirring music and movements in this fitness practice will have you feeling uplifted in your spirit and your body. Both beginners and more advance yogis are very welcome. This weekend retreat has been designed to accommodate different levels of experience for yoga, and the poses will be adapted for that. You will enjoy the experience and will be part of a group of participants who will be attending for many different reasons. This is a wonderful chance to cultivate awareness and feel replenished. Nannup Hideway is 45mins from Busselton, 60mins from Pemberton and 90mins from Margaret River. It is a treat on its own driving up the hill through the massive pine tree growth. It is indeed a hideaway! situated on the top of the hill away from the hustle and bustle of life. I am truly thankful to be able to hold Re-connecting Body Mind and Spirit Weekend Retreat here recently. Being at the top of the hill was somewhat aligned with the teachings of Space that was covered in one of the key points on Why Spirit Matters. The whole atmosphere brought out a euphoric sense of freedom. Last but not least, the yoga space is spacious and beautiful overlooking the hills and forests along two sides of the room. The food menu is based on the concept of ancient eastern concept of Yin and Yang, means managing our imbalances, eating primarily whole grains, vegetables, beans, and sea vegetables. Using sea salt, miso, soy sauce, gomashio or natural condiments. The goal is to provide the body with essential nutrients without loading it with excesses that must be eliminated or stored, and restore the body’s own healing power. Leisa Harding is the owner of Nannup Hideaway. It has been such an amazing experience working with Leisa. I especially love the trust that she has, which shows with her big, open heart. Her assistance with the space setting, and with the food, that was Japanese concept which was so new to her, she did it brilliantly. Leisa is very cooperative and tries her best in what ever she does. 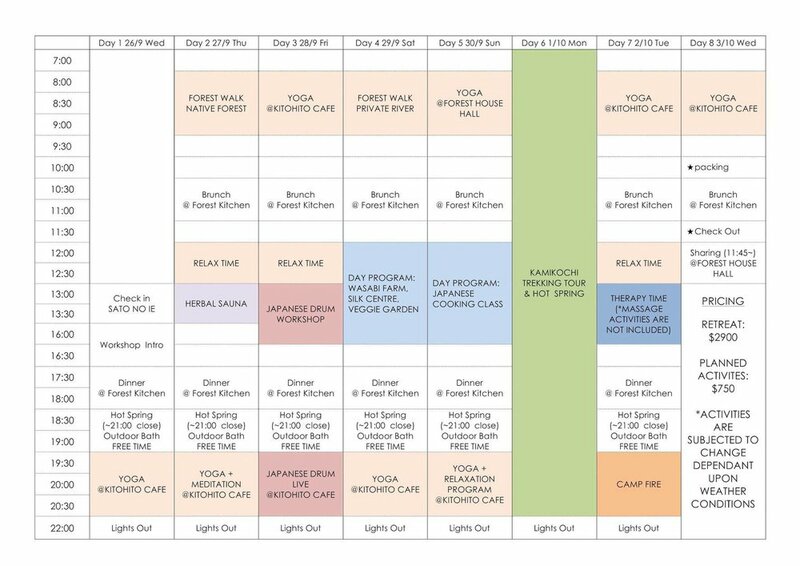 * All services and activities has to be booked prior to the retreat. Non-Residential: Please contact Leisa leisa@nannuphideaway.com.au or Gwen gwenli@me.com regarding your interests. Join us at Nannup Hideaway Spa and Retreat for Nourishment and Balance Retreat. This 1 day retreat is an opportunity to understand the elements that are affecting you. Come and explore the concept of Ayurvedic - The Knowledge of Life, as it will all make sense to why you are feeling imbalance. Gwen will share ideal diets and yoga practices for each constitution. Participants have the option book for a massage before or after the retreat (by appointment only) or stay overnight. Nourishment and Balance is the theme of the retreat - An opportunity to use winter’s introspective energy, to dive deep to gain clarity and insight to positive health and wellness. In a deeply reflective yet rejuvenating practice will restore an overall sense of vibrancy and vitality and help to balance the body. Both beginners and more advance yogis are very welcome. This 1 day retreat has been designed to accommodate different levels of experience for yoga, and the poses will be adapted for that. You will enjoy the experience and will be part of a group of participants who will be attending for many different reasons. This is a wonderful chance for self care and rejuvenate. Nannup Hideway is 45mins from Busselton, 60mins from Pemberton and 90mins from Margaret River. It is a treat on its own driving up the hill through the massive pine tree growth. It is indeed hideaway! situated on the top of the hill away from the hustle and bustle of life. I am truly thankful to be able to hold Re-connecting Body Mind and Spirit Weekend Retreat here recently. Being at the top of the hill was somewhat aligned with the teachings of Space that was covered in one of the key points on Why Spirit Matters. The whole atmosphere brought out a euphoric sense of freedom. Last but not least, the yoga space is again spacious and beautiful overlooking the hills and forests along two sides of the room. The food menu is based on the concept of Ayurveda. Leisa Harding is the owner of Nannup Hideaway. It has been such an amazing experience working with Leisa. I especially love the trust that she had, which showed her big, open heart. Her assistance with the space setting, and with the food, that was Japanese concept which was so new to her, she did it brilliantly. Leisa is very cooperative and tries her best in what ever she does. It was never about ‘teaching’ because I know what is best, or for the sake of regurgitating information. It has always been how relevant I can be for every individual’s path and physical challenges. Unlike a weekly yoga class, this weekend retreat has given me the opportunity to provide a whole picture of a fulfilling and harmonious life to participants. The key points I share during class are from my years of teaching yoga, and experiences from traditional practices while living in Japan, travels to India and Nepal. 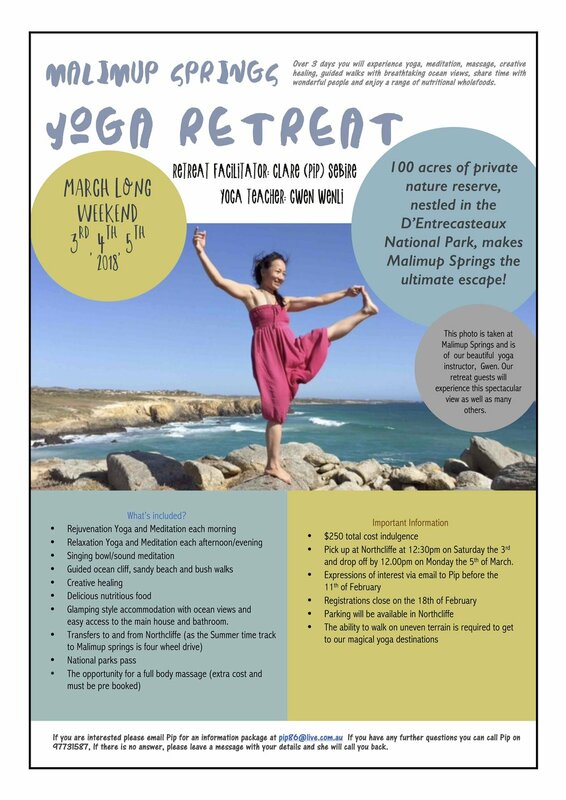 This retreat is priced at $140 which includes lunch and yoga materials. Upon signing up for this retreat, we will send you a form for you to fill, on it are questions that would help me to help you to get the most out of this one day retreat. Take some time off this morning for some self care and rejuvenation. This one day retreat is an opportunity to step out of your busy-ness and focus on You. You get to move your body to some Hatha flow then rebalance the lymphatic and nervous system with some Restorative Yoga, Yoga Nidra (yogic relaxation) and the Himalayan Singing Bowl Meditation. Participants have the option book for a massage (by appointment only) after the retreat or stay overnight at the chalet. If you are feeling like you need to take some time out to reconnect with yourself, feeling stressed, anxious or overwhelmed, tired and having difficulty to sleep, suffering from negative thoughts and emotions, or whether you have had spiritual training or just starting to plant seeds for a more conscious life, I hope this retreat will give you more meaning to your existence, and heal areas that creates obstacles and limitations that prevents you from realising your potential. In reverence to our location, Self care and Rejuvenation is the theme of the retreat - An opportunity to practice all the heart opening, healing, rebalancing and rejuvenation yoga overlooking the misty, beautiful valley and sunrise in the morning. Leisa Harding is the owner of Nannup Hideaway. It has been such an amazing experience working with Leisa. I especially love the trust that she had, which showed with her big, open heart. Her assistance with the space setting, and with the food, that was Japanese concept which was so new to her, she did it brilliantly. Leisa is very cooperative and tries her best in what ever she does. 13.00 Discussion on yoga i.e. What is yoga and how to integrate yoga into your life. This retreat is priced at $120 which includes lunch and yoga materials. Upon signing up for this retreat, we will send you a form for you to fill, on it are questions that would help me to help you to get the most out of this one day retreat.